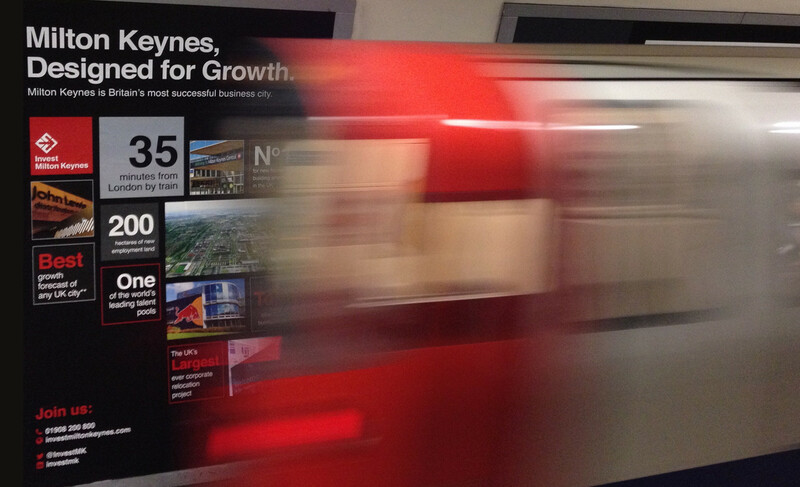 InvestMK, the inward investment arm of Milton Keynes Council approached TravisBead to design a series of adverts for display on London Underground escalators, in hallways and on platforms at Euston and other major intersections. 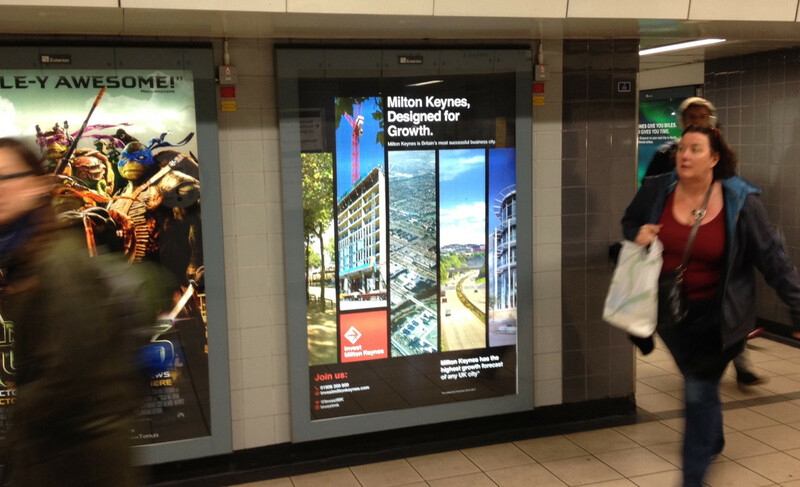 Using the existing InvestMK branding, TravisBead developed a scheme based around strong Milton Keynes images and the headline, “Milton Keynes, Designed for Growth”. This was coupled with lots of positive statements about the city’s acheivements on a national level.